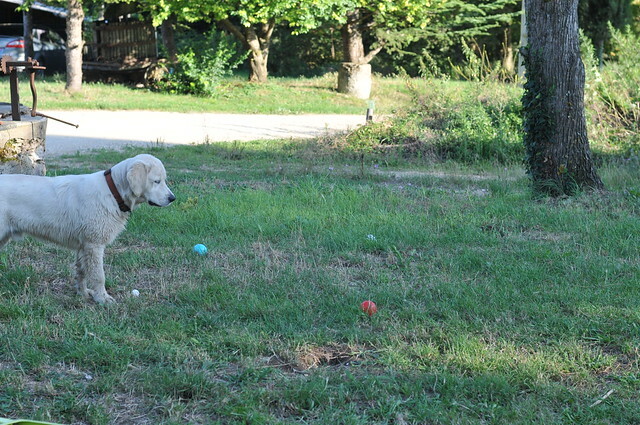 Otto wanted to play Pétanque last night. This is the game where you chuck a small ball as base and then chuck bigger balls at it to see who lands the closest to the base. When Brent and I walk through the fields, we pick up rocks as we see them and toss them to the fence post to keep them off the field and easy pickup later on. Chucking limestone at a fence post has similar rules to Pétanque. You want to be the one who gets close to the fence post. 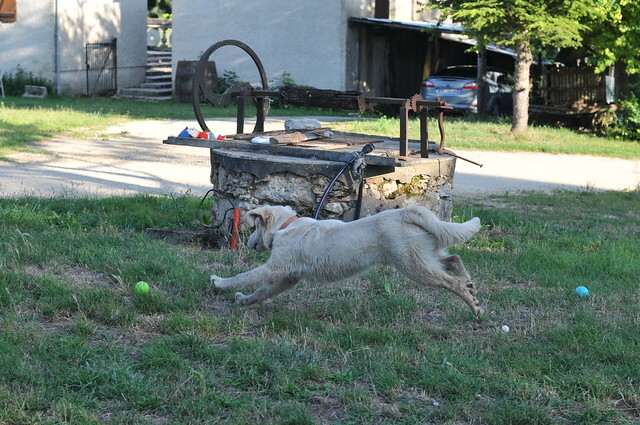 This game is great fun for a boy or a girl or a retriever. Lumi chased the balls, but managed to leave the balls after they landed. I’m not sure how he maintained such discipline. He’s mad with the tennis ball. Maybe he’s playing Fantasy Pétanque and keeping close eye on the score. 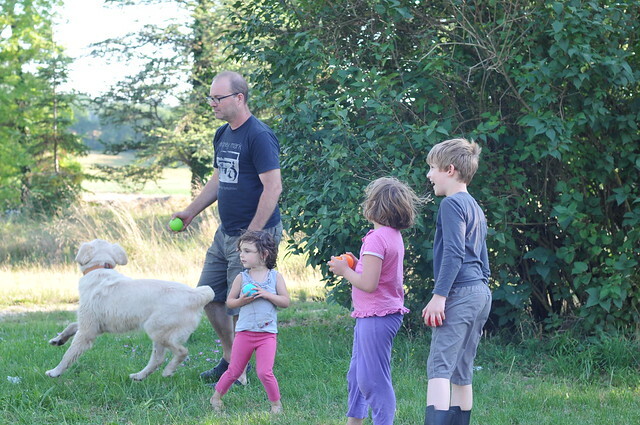 So you can have your dog and play pétanque, too. Not bad. My little guy not only chases the balls, nosing them about at will, but picks up the little “target” ball and runs around with it in his mouth. I tell myself that it’s a new game: Pétanque and Ladders, maybe, or Dada Pétanque. I know! I can’t believe he didn’t pick those balls up. He was certainly interested.